Boat building in wood, metals, and glass reinforced resins or plastics or fibreglass. Basic boat building, fitting out, and finishing. Spar making. Also includes lofting, laying down of lines and lifting off items. 'How to Build' project books. How to build specific boats; most of the books contain the plans and offsets so that it is not necessary to purchase separate plans to complete the project, unless otherwise stated. Boat Design Quarterly is Edited and Published by Mike O'Brien, Designer, Boatbuilder, and long time Senior Editor of WoodenBoat Magazine. Any one familiar with the regular Design Analysis column in WoodenBoat will recognise the concept of a more detailed analysis of designs, with lines plan, layout, construction, sail plan, and internal accommodation drawings. Each issue features half a dozen designs subjected to the Editor's scrutiny and interpretation. An enjoyable and relaxed way to learn about small craft design. Forty issues of Boat Design Quarterly are now available and an estimated 200 designs have now been subject to Mike O'Brien's study making the publication an invaluable resource for students of small craft design. 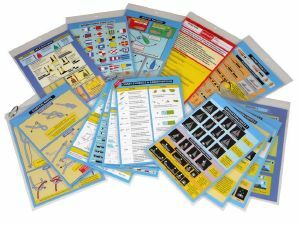 Cockpit Cards produce a range of laminated A5-size cards providing essential information for use at sea, or for shore-based learning and revision. A selection of books evaluating designs and including 'boat-finders'. Inshore craft and trading vessels. Voyages, circum-navigations, and races. Includes Inland Waterways, as well as coastal, offshore and deep sea passages. Coastal and offshore navigation, astro, weather and boat handling. This section contains a selection of designers plan catalogues and catalogues of plans available from other sources. Seafarer Books publish and distribute a range of books on sailing and maritime history. They are the UK distributors for Sheridan House Publishers in the USA. The combined range covers narratives, practical guides, and Merchant and Royal Navies including classics such as Erskine Childers' 'The Riddle of the Sands' and Joshua Slocum's 'Sailing Alone Around the World'. We have a good selection of second-hand and remaindered books covering most nautical/marine subjects. We try to specialise on design and boatbuilding books, but we also have a good selection of narratives and maritime history. Basic naval architecture, yacht, boat and small craft design, theory of sailing and other methods of propulsion. We have a large stock of WoodenBoat magazine back issues, including some that are out of print at the publisher. Loading these onto the website will take some time, so if you know which issue you want call us and we can let you know if we have it or not.